Clear us out! Make room for Spring! We’ve just kicked up the deals on our Semi-Annual Clearance Sale >>ON NOW<<... Take 60% OFF (selected jeans, sport shirts, sweaters, tees, selected footwear, jackets, and more)… ALSO 25% OFF all Viberg Sweaters. More snow, more deals. Seriously, don’t miss out on this one! 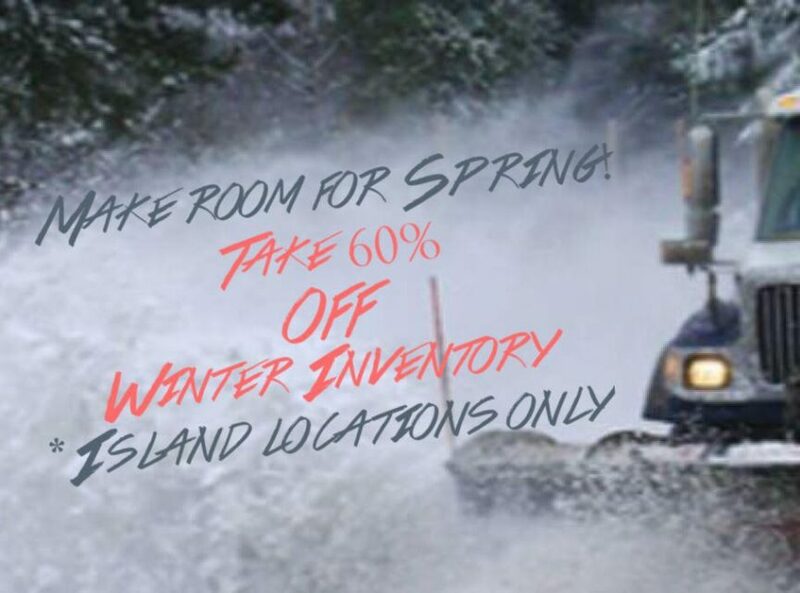 We invite you to clear us out of our Winter Inventory to make way for the NEW Spring items arriving. -See you soon.